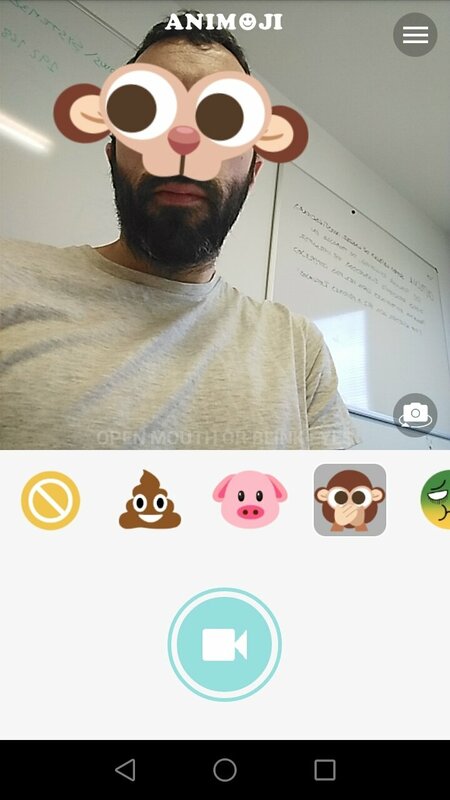 If you're a fan of adding emojis and emoticons to your photos, you can't miss out on the chance to download Animoji for Android. Mainly because it's one of those applications with which you can apply real-time emoticons to your photos and videos. 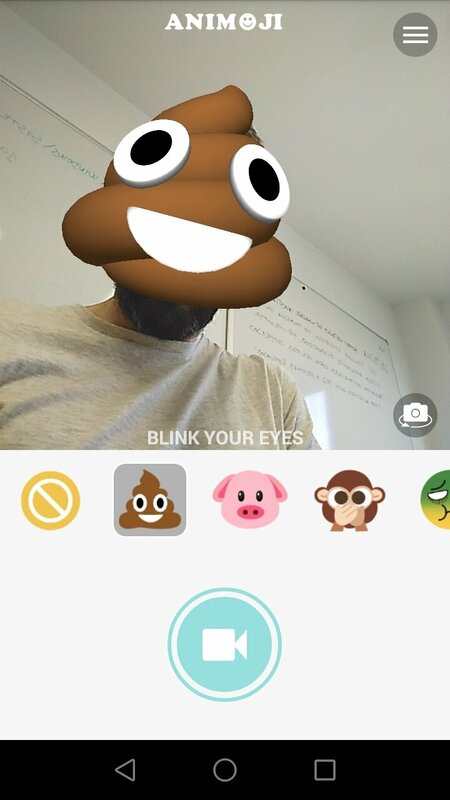 With Animoji for phone X +Live Emoji Face Swap Emoticon, you can muck around with its morphing effects to customize your photos. 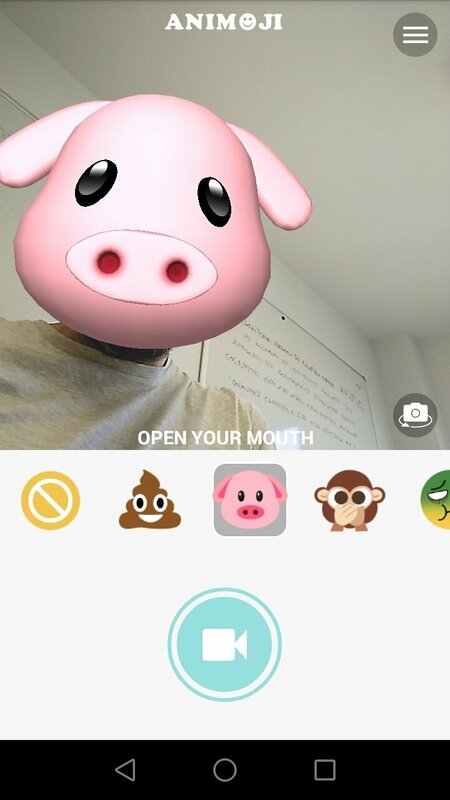 You can take selfies and place all those WhatsApp must-have emoticons straight on your face: the pig, the heart-shaped eyes, the poop emoji... you might be missing the Spanish dancer but that will probably arrive in future updates. Animoji Live Emoji: you won't find any excuses for not creating brilliant photo montages. Apart from creating real-time selfies, you can also use the rear camera of your phone to apply them to your friends or any other person that you portray or record with your smartphone. What are you waiting for to download its APK? 5 different functions to apply effects: face off, face morph, part face, split effect, and face blend. Over 50 different faces with more to come in future updates. 4 kinds of face morphing. Adjust the eyes, nose, and mouth with your finger. Share videos by email or social networks. Access with your Facebook username and password. There's not much mystery to how it works: just aim your camera at the person you want to take a picture of. 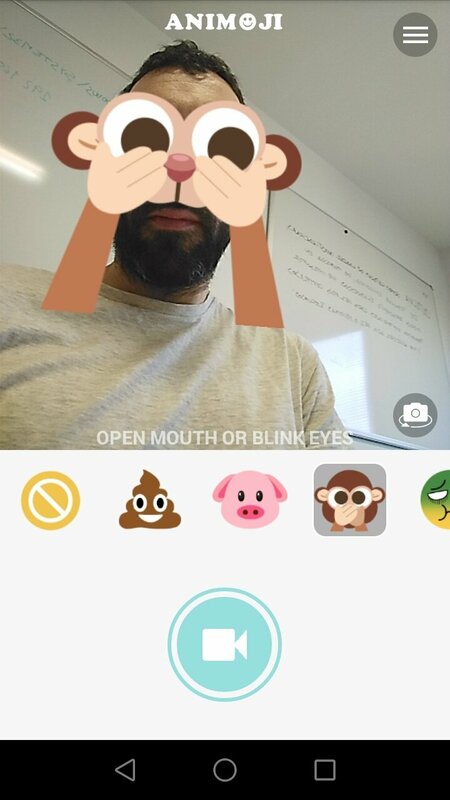 The application will automatically detect the face and offer you different emoticon options to be applied. From the lower bar, you'll be able to browse through the different emojis available to choose the one you like the most. By the way, don't get this application mixed up with Animoji for iPhone X since the latter is an emoji editor for iPhone but has nothing to do with applying those effects to photos.